What leadership approach do you take? Do you command and control or have a more inclusive style? There have been many approaches to leadership over the years, from command and control to more inclusive styles. Some leaders micro-manage, others are quick to delegate. Whether you are a new or a senior leader, how you manage your team has a direct impact on engagement and productivity. Leaders who coach can double their engagement score. Even more importantly in today’s technology-driven, fast-paced world, they can lighten their load and reduce the pressure on themselves. Having been lucky enough to benefit from executive coaching from Karen a few years ago, I was very keen to read her new book. For me personally her “Lead like a Coach” was perfect timing. With my team now being all senior managers who each have their own teams, and increasing work demands and strategic initiatives, I very much needed to focus on and continue to grow my coaching skills. Letting go of helping drive “the play” and instead “sitting in the coach’s box” is definitely not easy. Not only does Karen’s book help you be a better coach, it also helps to make that coaches’ hat feel more comfortable. As always Karen coaches you through the steps with great insight and real case studies. All you have to do is to trust in her and commit to making the changes – the benefits will always follow! I hope you enjoy and get as much out of this book as I did. Building the capability of an organisation or team requires leaders who can bring out the best in individuals. Lead Like a Coach offers powerful practical advice, based on compelling evidence, on how to lift your game for the benefit of the people you lead. Of particular interest was the section on “asking Coaching questions” compelling your team members to find solutions rather than being directed. It is too easy to give the answer. More difficult is to ask a series of questions which enables the individual, and indeed your company, to benefit from the exploration of options and ownership in the conclusion. The other hidden benefit to leading like a coach is the gift of time. Moving from solving problems directly to building capability in your team, by utilising effective coaching techniques, requires an investment of attentive, content rich time. A highly valued present. Irrespective of where you are in your career or how well you currently manage your team, Karen Morley offers all leaders an opportunity to revisit or hone their coaching skills for the mutual benefit of all parties. The content of Karen’s book so impressed me that I have ordered copies for every leader of people in my Division. I first met Karen Morley at a time I was having difficulty with a number of work interactions. For the first time I learnt to see how my beliefs, vulnerabilities, successes impacted how I responded to others within the work environment. Karen lifted me out of the details of the situation and helped me observe myself. I finally appreciated ones work success is not just about the technical skills and delivery but is truly influenced by connectivity and how each person creates the connections. That “light bulb” moment was transformative and I believe was fundamental to my growth as a leader. It is an insight I try to pass on to others. I cannot think of anyone more skilled to impart the knowledge within this book and am so pleased Karen has chosen to widely share her guidance. Consultative leadership is needed worldwide! Some people have the leadership skillset, some don’t. The intuitive, practical & relevant case studies provided in Karen’s book ‘Lead like a Coach’ encourage & enthuse all to be Coach as required. Today, as organisations strive to provide ‘more with less’, discretionary effort from team members is becoming an increasingly important asset. Those organisations with leaders who can build high levels of trust within their respective teams, have a very real advantage in terms of both engagement and, as a consequence, performance. 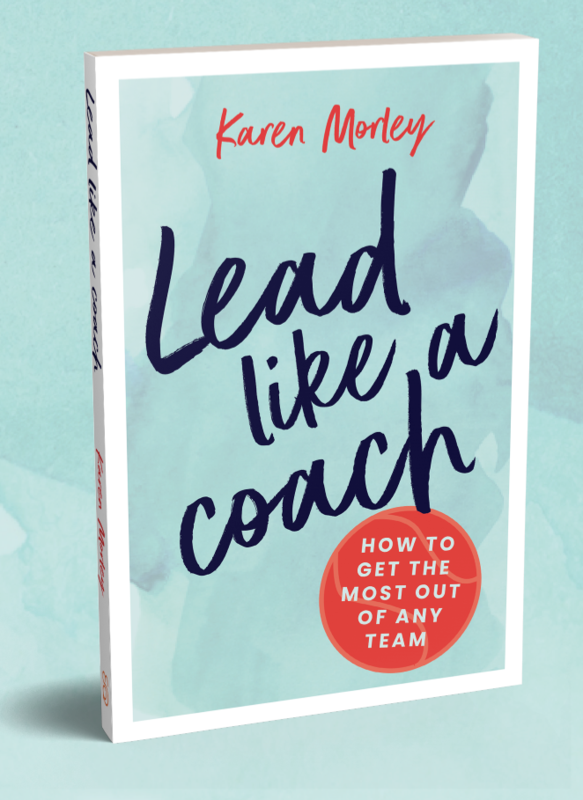 Drawing on Karen’s wealth of experience in this area, ‘Lead like a Coach’ provides some very practical and easy to understand advice which all leaders, irrespective of their existing approach, will find very useful in bringing out the best in a team. Is your leadership style holding back your team? My career would not be where it is today without the candid, thought-provoking and ‘call-to-action’ coaching from Karen over many years. Karen taught me how to navigate my journey – through the highs and lows – with an honesty that enabled me to challenge conventions and take ownership of my destiny. This book is a must-read – it gives us the methodology, tools and encouragement to ignite the coaching pathway for all. We owe this to our teams, and to ourselves to always strive to be better leaders. Lead like a Coach, simply but powerfully articulates how to adapt one’s leadership style to build more connected and engaged teams. By taking a coaching approach to leading teams, not only will your direct report relationships and effectiveness improve but your teams will learn and promote these behaviours, creating a wider culture of performance. Dr Morley uses real case studies to support her work and provides tools that will prove invaluable to any leadership role. Lead Like a Coach is a useful guide for all of us who need reminding to ‘get out of the play, and into the coaching box’. What an honour to be given a ‘sneak peek’ into this little gem of a book! Once I started to read it, I realised that this was so practical, easy to read, and filled with anecdotes about others at various stages of their leadership journey, I found the pages almost turned themselves! I loved that I did not need to read it from cover to cover – instead, I discovered a helpful range of activities and tools which can be employed in any order – reflecting Karen’s deep understanding that leaders are busy people, and one or two new ‘tricks’ at a time is sometimes all we can manage. This book is a must read for any leader. I had the pleasure of having Karen as a coach and she taught me the importance of coaching in building and leading an effective team. At the time, I had just started a new role in a field which I was not familiar with, leading a new team with people from different backgrounds, a wide range of experiences, capabilities and varying degrees of ambition. Karen helped me to use coaching as a way to build trust in the team. I realised that the more I used a coaching approach, my team also started to coach each other. We started engaging and communicating a lot more and ultimately worked a lot more effectively as a team. 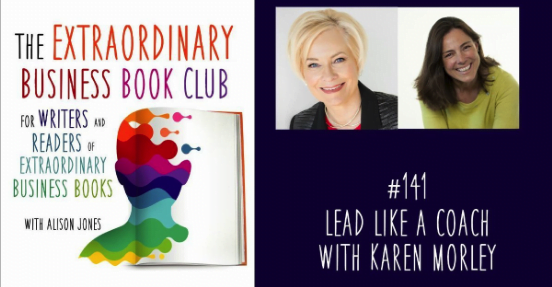 Karen’s Lead like a Coach is a clear, engaging roadmap designed to help leaders let go of the traditional command control structures and really focus on how to be a better leader by connecting with and coaching our teams. I’ve been the beneficiary of Karen’s coaching over the past couple of years and am very excited to see that her tools and approaches translate so well into book form, meaning her wisdom can now reach and benefit a much broader audience. Karen Morley has written a must-read book for anyone considering doubling their engagement score!